Ronen's Opening Survey: The Hedgehog (7 part series). The Hedgehog is a thoroughly modern defense where flexibility and understanding trumps all. This counter-punching system was a big favorite of the likes of Garry Kasparov, Ljubomir Ljubojevic and Ulf Andersson, and for player’s of the White pieces playing the English Opening, it can still be problematic at the best of times. But the late Polish-American GM Aleksander “Wojo” Wojtkiewicz - who was a feared player of the White pieces - came up with a simple, yet at the same time aggressive plan to “Sonic the Hedgehog” with 1 c4 c5 2 Nf3 Nf6 3 Nc3 e6 4 g3 b6 5 Bg2 Bb7 6 0–0 a6 7 Re1. And in a new series, GM Ronen Har-Zvi returns to look more carefully at Wojo’s system - that led to him scoring many spectacular wins - as a potent weapon in your arsenal to make roadkill out of the prickly Hedgehog. Ronen's Opening Survey: The Hedgehog (7 part series). A05: English . The Hedgehog is a thoroughly modern defense where flexibility and understanding trumps all. This counter-punching system was a big favorite of the likes of Garry Kasparov, Ljubomir Ljubojevic and Ulf Andersson, and for player’s of the White pieces playing the English Opening, it can still be problematic at the best of times. But the late Polish-American GM Aleksander “Wojo” Wojtkiewicz - who was a feared player of the White pieces - came up with a simple, yet at the same time aggressive plan to “Sonic the Hedgehog” with 1 c4 c5 2 Nf3 Nf6 3 Nc3 e6 4 g3 b6 5 Bg2 Bb7 6 0–0 a6 7 Re1. 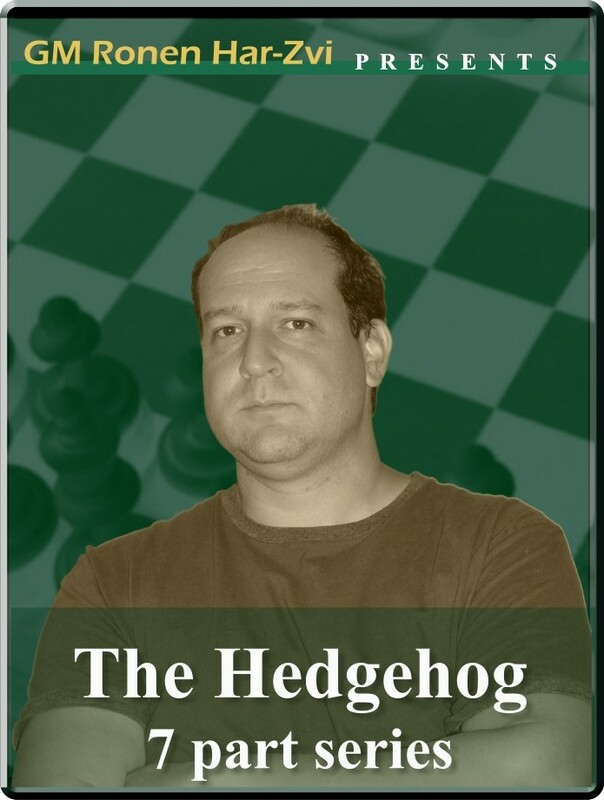 And in a new series, GM Ronen Har-Zvi returns to look more carefully at Wojo’s system - that led to him scoring many spectacular wins - as a potent weapon in your arsenal to make roadkill out of the prickly Hedgehog.